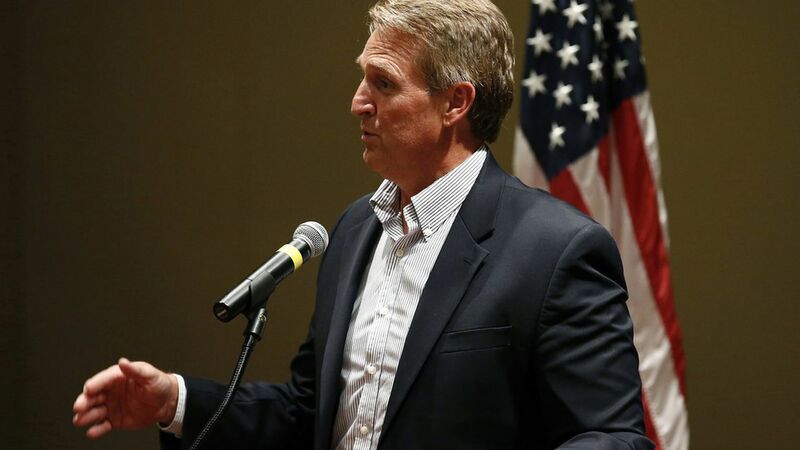 Sen. Jeff Flake defended "unskilled" immigrants in a NYT op-ed, saying "those whose only initial credentials are a strong back and an eagerness to use it" must have a place in America. Why it matters: If passed, the Trump administration's new immigration bill will cut legal immigration in half, admitting people to the United States based on deliverable skills. Such a policy has merit, Flake says, but work ethic should be judged as a skill. Flake wrote about Manuel Chaidez, a Mexican immigrant who worked on his family's ranch: "Without such work there is no ranch. Without ranches, my town and towns like it falter. And so in my estimation, Manuel is just about the highest-value immigrant possible, and if we forget that, then we forget something elemental about America." Flashback: Yesterday, Trump called the senator "Flake Jeff Flake" and "toxic" on Twitter.